Minimum quantity for "Donation" is 1. 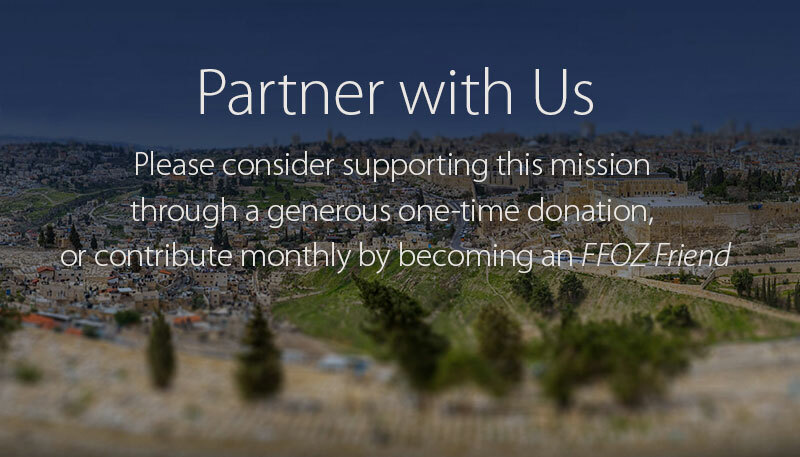 Support First Fruits of Zion with a donation, or learn about FFOZ Friends, and become a monthly supporter. There are three levels of contribution within the FFOZ Friends support structure. Plus a free monthly teaching every month, and access to all previous monthly teachings (sent by mail and delivered digitally). FFOZ Friends (Allies and Pillars), receive a complete Torah Club Commentary set every year as a thank you for their partnership. FFOZ Friends (Pillars) receive free copies of all new resources, plus additional offers and discounts. FFOZ Friends are also eligible to become Torah Club Leaders. Click here for more details, or to become an FFOZ Friend!